Symptoms: Pain raising the arm above horizontal or above the head. A weak shoulder with power movements like throwing can be painful to lie on but usually has a good hand behind the back movement. Also known as Adhesive Capsulitis this is a condition that usually occurs in our late 40’s to 60’s and has genetic links. Early diagnosis is crucial as treatment is far more effective in the first 6 weeks and we strongly recommend an early Steroid injection as this condition can last anywhere between 6 months and 3 years. In the initial stages inappropriate therapy can actually prolong the condition and lead to more pain and dysfunction and why it is important to be seen by a specialist who can recognise this condition and arrange the most effective treatment. Symptoms: Shoulder begins to stiffen and has reduced movements behind the back and out to the side, painful to lie on and severe pain with reaching out movements or jerk movements. Treatment: Early Treatment usually involves discussion regarding a capsular Steroid injection which we are able to perform in clinic with discussion with your G.P. get closer to 50-60 years even small forces can cause a tear in an already worn tendon. Symptoms: They give similar symptoms as shoulder impingement. When the symptoms are more severe we are unable to move the arm away from the body with any power, but might be able to move it with the other arm. This indicates the stability muscles may be torn. Treatment: Treatment depends on accurate diagnosis highlighting why suspected tears should be seen by a specialist. If a large tear is suspected this should be referred for investigation and a shoulder surgeons opinion. We have excellent links to surgeons in the area and can have you seen rapidly when required. Smaller tears can be optimised with therapy and even larger tears that are non operable can be treated effectively with specialist physiotherapy. Treatment: This depends on the diagnosis but with stable Labral tears, laxity without trauma or hyper-mobility, very specialist exercise and therapy is required. This can get very complex and usually the area we shoulder specialist therapists spend a great deal of time rehabilitating. For the dislocation group it is very important we make sure there is no structural damage and we usually organise specific scans or investigations and/or shoulder surgeon advise to ensure you have the best treatment. Symptoms: Pain in the epaulette area and scapula and upper back region. Can be worse with static sitting postures and also give us pain in the neck area. Treatment: Its unrealistic to think any therapist can fully cure this without addressing the postural issues. Treating this effectively requires your full effort to work on posture changes, exercise to stabilise and give more power to your upper trunk plus awareness of the bad habits that are adding to the problem. A good therapist will spend time identifying these as well as giving specific exercise and lifestyle changes. We also use manual techniques to change the joint stiffness, muscle tightness and pain. I see many of these and when we are young it is usually from trauma even from a fall on an outstretched hand as well as impact to the shoulder. These are often missed as a source of continual shoulder pain post road traffic accident (RTA) form the seatbelt. As we age usually 40 years onwards this joint can become slightly degenerative and give pain. 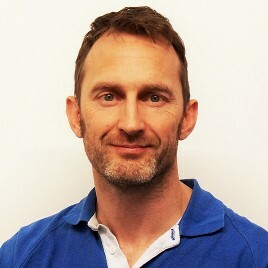 Treatment: As a shoulder specialist who is able to treat with steroid injection as well as physiotherapy, my treatment of choice tends to be a steroid in the vast majority of these as it seems to be the most effective treatment I can offer. I also settle them with manual therapy and acupuncture. If the pain is not settling I do not think it is fair to continue to treat you if it is not improving the problem.